2 3/4 inch closed framelock. 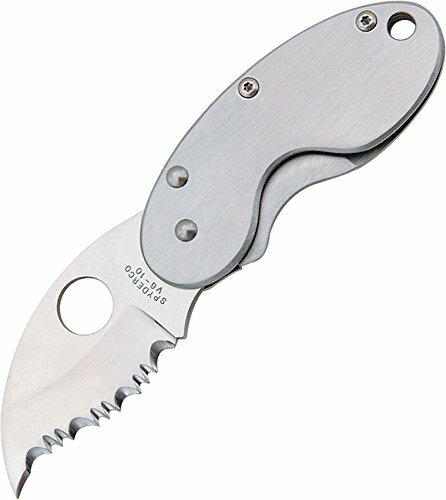 Serrated vg-10 stainless blade with thumb hole pull. Brushed stainless handles. Stainless pocket clip. Lanyard hole. Stainless steel handle can be engraved or embellished.